This one is just plain fun! While we find game boards in abundance, this is the first ever complete Ring Toss Game we have seen. 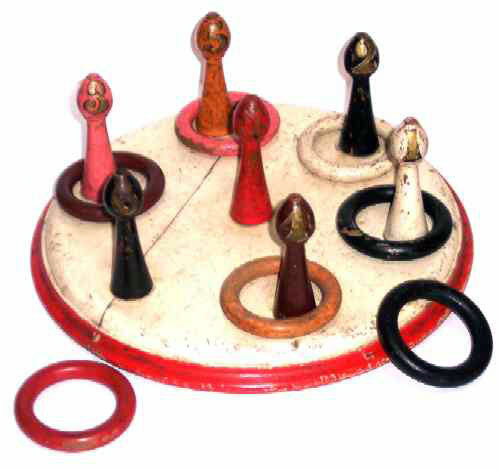 Dating late Victorian to the first part of the 20th century, the game is in overall good condition with wear to the paint due to age and usage. The rings are all there and the pegs have the points scored painted on them in gold paint. At some point in its life the board split but it was glued back together and is still good to go for another hundred years or more!